How Will You Create A World Wide Rave? Learn how to harness the power of your audience. Share your stories through your people. A World Wide Rave— having others tell and spread your story for you—is one of the most exciting and powerful ways to reach your audiences. It’s not easy to harness the power, but any company with thoughtful ideas to share—and clever ways to create interest in them—can, after some careful preparation, become famous and find success on the Web. What a World Wide Rave is and where the term came from. The stories and methodologies behind some of the most famous World Wide Raves. 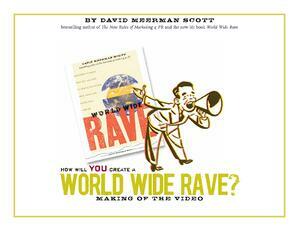 How to use video to create a World Wide Rave for your organization.